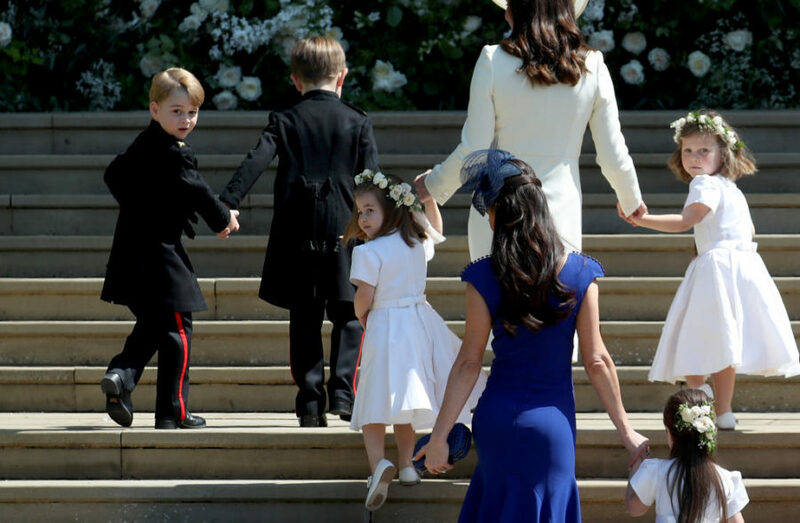 Princess Charlotte totally took charge of the other kids at the royal wedding: "No, you can't go yet!" 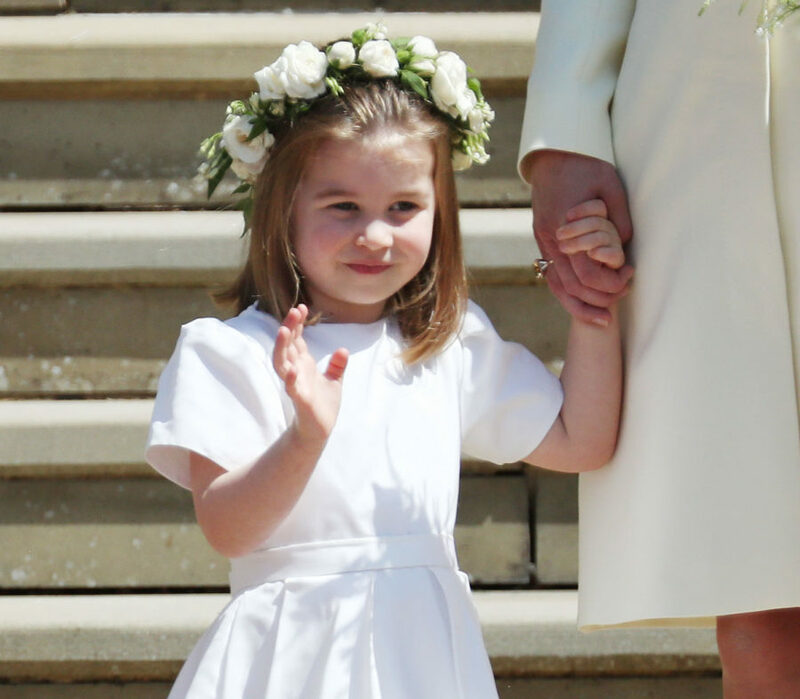 Fans loved when she stuck her tongue out in the car and did her royal wave on the steps of St George’s Chapel on Saturday, May 19th, but it turns out that behind the scenes, Charlotte, who served as a bridesmaid in the wedding, took control of the other children in the wedding party. Charlotte is an experienced bridesmaid at this point, having served as one in aunt Pippa Middleton‘s wedding to financier James Matthews last spring. She and her brother Prince George, a page boy during both Pippa and Harry’s weddings, made their way down the aisle at St Mark’s Church in Englefield in cute outfits by Pepa and Co. last May. Related article: Prince Harry and Meghan Markle’s official wedding portraits were just released — and they are stunning! This time around, Charlotte and the other five bridesmaids wore timeless white Givenchy dresses. They also wore white Aquazzura shoes monogrammed with the bridesmaids’ initials and flower crowns the featured Princess Diana’s favorite flower, forget-me-nots.